Income earned as a self employed person as opposed to wage income earned from an employer is reported on your Federal Income taxes by completing and including with your tax return a form known as Schedule C.
A copy of Schedule C for your current year tax return can be obtained from the IRS website at http://www.irs.gov/pub/irs-pdf/f1040sc.pdf and the instructions for completing Schedule C from the IRS website at http://www.irs.gov/pub/irs-pdf/i1040sc.pdf. Both of these are PDF files which can be downloaded and saved to your computer and, in the case of the Schedule C itself, you can fill in your information directly on your computer then save and print it. Schedule C itself is a two page document that is relatively straight forward and not that difficult to understand and complete. While the IRS Schedule C and the other tax forms discussed here tend to remain about the same from year to year as far as their format, the instructions for completing them often include significant changes. Because both forms and instructions are subject to change from year to year you should always make sure that both the Form and Instructions you are using correspond to the tax year for which you are filing. While Form C is fairly straightforward, especially for something like income from part-time writing, don't hesitate to seek professional help if you feel you need it. Free help is often available from sources like the IRS website and community organizations. 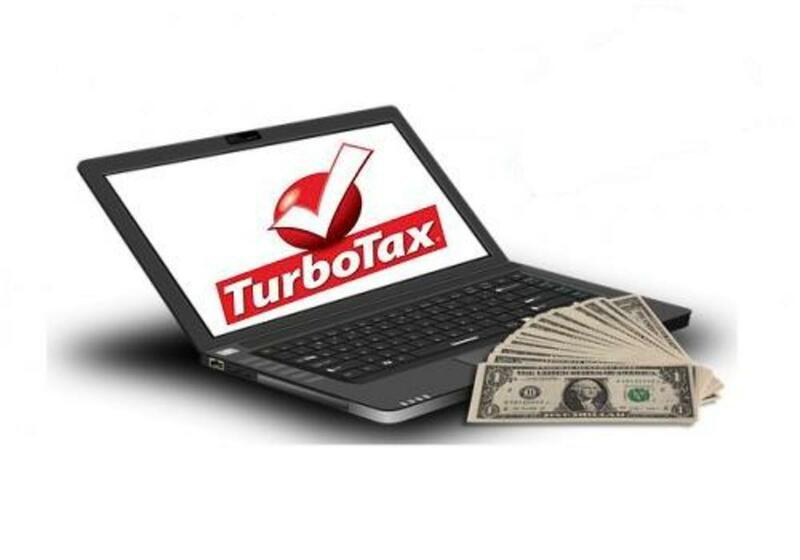 There are also a number of reasonably priced tax preparation software packages as well as reasonably priced professional tax preparation services. 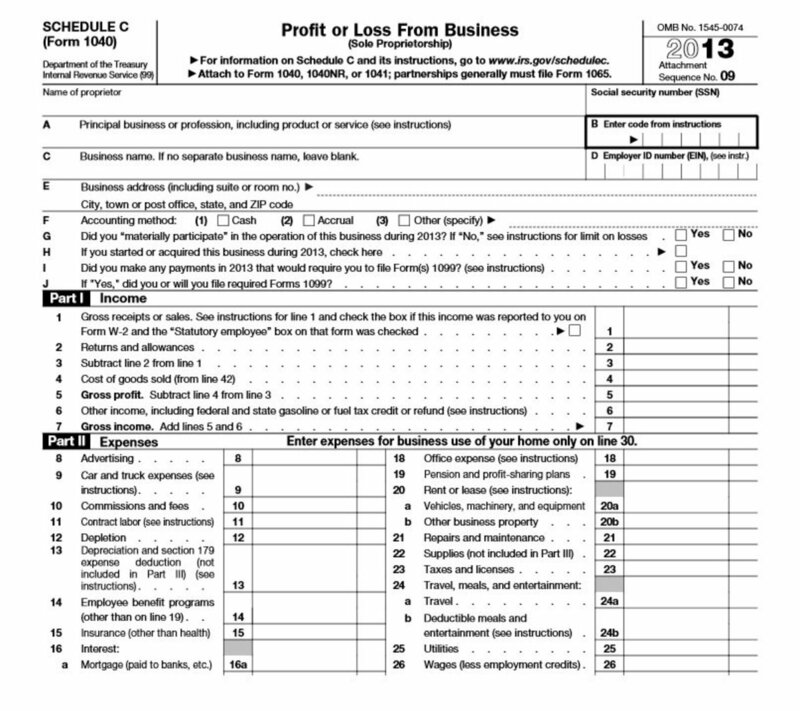 If you show a profit on Line 31 of Schedule C, note that the first bullet point under Line 31 states If a profit, enter on both Form 1040, line 12, and Schedule SE, line 2, which means that, in addition to entering a positive number on Line 12 of Form 1040 you may also have to complete Schedule SE a copy of which can be obtained from the IRS website by clicking on this link http://www.irs.gov/pub/irs-pdf/f1040sse.pdf. Schedule SE is used to calculate the so called Self Employment Tax which refers to the Social Security and Medicare tax amounts deducted from wages on your regular job each payday. In the case of employee wages, only half of the Social Security and Medicare taxes are deducted from the employee's wages with the other half being paid by the employer. Currently, the employee's portion of the Social Security and Medicare tax is 7.65% of their earnings. However, since self employed people are both the employer and employee, they have to pay the full 15.30% tax (the employee's 7.65% and the employer's 7.65%). You do get one break in that if your total self-employment income is less than $400 (i.e., $399.99 or less) you do not have to file Schedule SE and pay the 15.30% tax. While having a business, or a hobby that makes money for you, will cause your taxes to increase this is not a reason to abandon the activity. Whether your writing or other freelance business is a small, part-time affair or your sole source of income, there are advantages to having your own business. Remember, that even in the case where your small business is a part-time operation that generates some extra money for you, at a minimum your after tax income will be greater than your income without the business even though you have to pay taxes on the income from the business. While the nature of our progressive income tax system means that the extra income from your side business may be taxed at a higher rate than your primary income from wages, our politicians still haven't increased that rate to 100%. Also, you only pay taxes on your profit which is the difference between the revenue produced by the business and the expenses incurred by the business. For a simple little business (and by earning money from your HubPage and other Internet activities you are considered a small business owner) with no inventory to sell, filling out the form is not that difficult. For most people in our situation as writers, the effect of choosing either cash or accrual methods on our taxes is about the same although the accrual method requires a little more work especially since, as I recall from last year's taxes, Google and other sites reported what they actually paid me in 2007 rather than what they actually owed me. The difference being that, since Google tracks and sums the amount due me for clicks for each day of the month and then sends me a check for the total at the end of the next month, the check I received, in January 2007 was for money earned in December 2006 and the money I earned in December 2007 wasn't paid until January 2008. Under the accrual method I would have declared the December 2006 earnings (which I didn't receive until January 2007) on my 2006 tax return and declared what I had earned in December 2007 (which I didn't receive until January 2008) on my 2007 taxes. As you can see, for our type of business, the net result is about the same for both methods so I take the easy way and simply report the income using the cash method which is the same way it is being reported to me. Now, there are some businesses where there is a tax advantage to using the accrual method of accounting but this is not one of them. At a minimum you will have to enter your name, your Social Security Number, the address of your business (for most of us it is our home address - DON'T enter the address of you current employer if you also have a regular job as your writing business is separate from that source of income), indicate your accounting method as either cash, accrual or other and the total income you received from all sources for your writing. Enter any business expenses on the appropriate lines below then subtract the expenses from your total income to get your net income from the business which is entered on Line 31 of the form. Depending upon your expenses, your net business income can be either positive or negative. A positive number is considered a profit and subject to income taxes (Federal plus state if your state has an income tax and local if you are unfortunate enough to live in a city, like New York City, which has an income tax along with the state and Federal government income tax) AND Social Security and Medicare taxes. If net income is negative you will have a business loss and be required to provide a more detailed explanation of your expenses on the lines below Line 31 and on page 2 of the form. In either case the profit or loss figure on Line 31 of Schedule C will be copied to Line 12 of your 1040 Tax form to be added to or subtracted from (if you have a loss) your other income. It is my understanding that, legally, everyone is supposed to report all income earned. Realistically, when small amounts of money change hands between people there are generally not only no records of the transaction but it is also not worth the government's while to waste time trying to collect such amounts. The job of the IRS and state revenue departments is to make money for the politicians to spend and paying tax collectors to spend hours collecting a dollar's worth of taxes here and a dollar there costs more money than it generates. Because of the time and expense involved, businesses and individuals are not required by the IRS to report payments for labor services totaling less than $600 per year to individuals working as sole proprietors or partnerships. 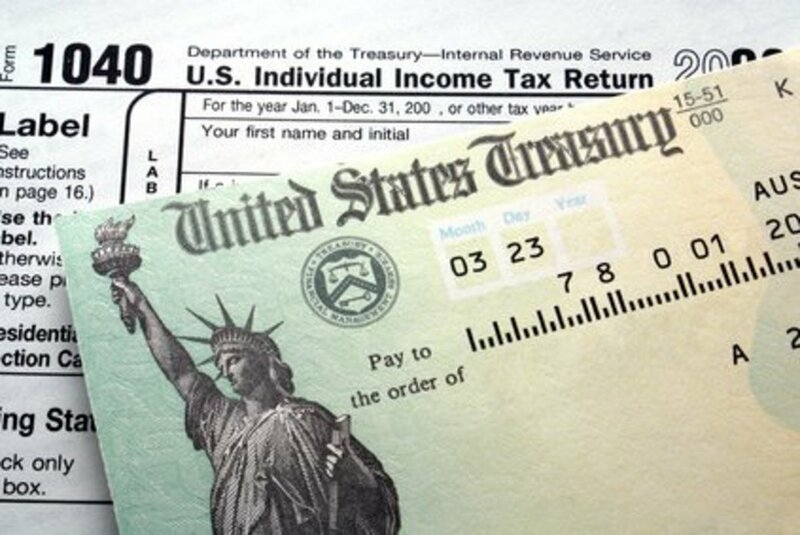 Since most individuals do not know about this rule, the IRS rarely goes after individuals who fail to keep track of and report what they pay to Joe the Plumber every time they pay him to come over and unplug their sink (Joe the Plumber, however, is required to track and report the income himself). In the case of businesses the IRS enforces a higher standard and requires them to keep track of the amounts they pay to individuals who are not employees and have not set their small business up as a corporation or LLC (Limited Liability Company). This involves the business obtaining the Social Security or Tax ID number of the person providing the services to the business and then preparing and sending an IRS Form 1099-MISC showing the total amount paid to the individual along with their name and Social Security Number. Those of us who publish on HubPages and run ads from Google, Amazon and eBay will receive a Form 1099-MISC from each of them that paid us $600 or more during the tax year (for some sites, including HubPages we have to get this information from our account with them online). Any of these companies that paid us less than $600 during the tax year will not send us a 1099-MISC but we should still report the income (you can go online to each of them and get a report showing both how much income has been credited to you along with the dates and amounts of payments by them to you). If your total self employment income after expenses is less than $400 you won't have to pay the Social Security/Medicare Self Employment tax and you can usually avoid having to pay any income taxes on this small amount by depositing it into a traditional IRA account (so long as you haven't maxed out the total contribution you are allowed and make the deposit before you file your taxes - if you already contribute the maximum allowed to your IRAs - both Roth and Traditional - you can avoid income taxes next year on this income by estimating your self employment earnings and increasing your contribution to your employer's 401(k) or similar program). The best way to reduce the tax bite on your business income (including the Self Employment tax which cannot be reduced by contributions to your retirement accounts) is to offset your business revenue with expenses. Now generating expenses simply to offset revenue doesn't make sense as you get nothing for your time and effort. However, having your own business, especially if you operate it out of your home, allows you to deduct from your revenue many personal type expenses that you would pay anyway but can't normally deduct them from wage income. For instance, you need a computer and an internet connection in order to write and publish your Hubs on HubPages. Depending upon what other things and what portion of the time your computer and Internet connection are used for non-business purposes, you may be able to deduct all or part of this expense, which you are now paying anyway without any tax advantage, from your business revenue. There are more than likely numerous other expenses you are currently incurring which could qualify as business tax deductions. The sum of these deductions can reduce your business income substantially which means that you have more of your regular wage income available to other things since some of your regular personal expenses are now being paid for by your business. If your business related expenses exceed your business income the resulting paper loss can be deducted from your wage income to reduce the income taxes on your wages as well thereby giving you either a bigger refund or cause you to send a smaller check to the IRS (it should be noted that there are limits to the amount of business losses you can claim and the number of years you can consecutively show a loss for your business). Note that I only named two things that you MIGHT be able to use as business deductions and qualified the statement by saying that you might rather than could deduct these expenses. The area of business deductions can be very complex. Some expenses are very clear and legal while the legality of others may be questionable. In some cases even if a deduction is clearly legal, it may be one that raises questions which can lead to you having to spend time, effort and possibly money for professional assistance defending yourself in an audit. Also, what might be perfectly legitimate for one type of business may be open to question in your business. 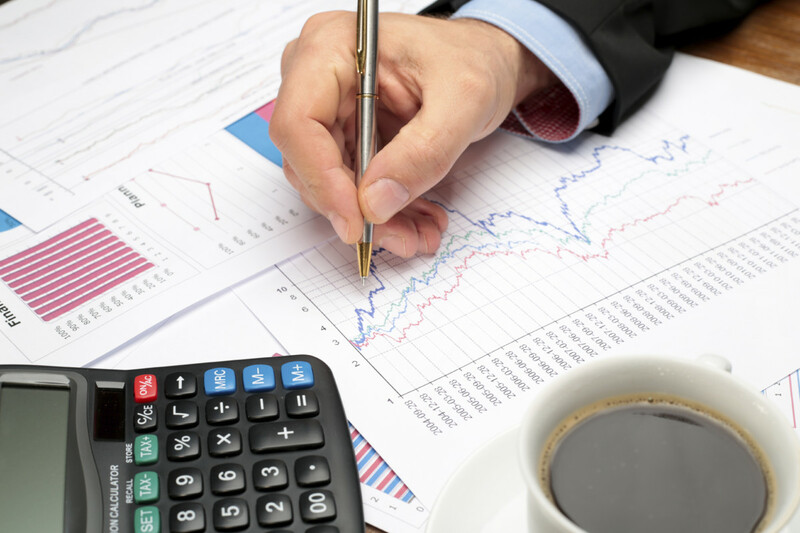 Be sure to keep good records of your business expenses. This includes receipts and other documentation to both prove you incurred the expense as well as for use as possible justification of each as a business expense. The U.S. tax code (the actual law governing the Federal Income, Social Security and Medicare taxes in the United States) consists of close to 100,000 pages of complex and often conflicting legalese. Every year, when not devoting time spending or wasting our tax dollars, Congress keeps itself busy by adding hundreds of more pages to the code. The tax codes for the various states that levy income taxes are smaller than the Federal code but still complex. The result is that no one really knows or understands the entire code which has resulted in many loopholes, the meaning and legality of which are open to debate and interpretation. For this reason, once I started making serious money from my writing, I turned to a tax professional who specializes in small business taxes to do my taxes. He knows more than I do and, since this is his business, he has the time and incentive to keep up with and understand the law as it applies to individuals and small businesses. Before selecting this particular person I made a point of discussing taxes and his business in general (this was made easier by the fact that I knew him socially and was able to talk shop with him before engaging his services) as well as talked to others who used his services. My goal was to first, verify that he not only knew what I knew about business and taxes but that he also knew more. I also wanted to get a feel for both his professional ethics and attitude towards risk with regard to taxes. The fact that he had "fired" a couple of his clients when they sought to have him severely bend the tax rules for them, impressed me. I was also impressed by the fact that while he tried to keep his clients' tax liability to a minimum, he also advised against deductions that were legal but questionable enough to attract an audit. Like many Americans, I am willing to forgo certain small, but legal, deductions and pay a few dollars more to avoid hassles from the IRS. For writers on HubPages and other money making activities on the Internet who are making a few hundred dollars or more per year and plan to continue and grow this income, my advice is to look upon this activity as a business as well as enjoyable and creative outlet. As a business, you need to first have a general knowledge of financial record keeping and tax rules. Second, keep good records of your income and any expenses that apply or might apply to your business. Third, organize your records and bookkeeping so that it will be easier to stay on top of the business as well as quickly find if you are ever required to justify expenses or deductions you claim. Finally, don't hesitate to seek and pay for professional help. At a minimum this means obtaining the services of a good tax preparer or utilizing a good business tax software system. If bookkeeping and record keeping are not your forte or take too much time away from your writing, then engage the services of a professional bookkeeper - there are many freelance bookkeepers who make a living providing these services to small businesses. Their fees, which are tax deductible as are the fees charged by your tax advisor, are generally reasonable since they only bill you for the couple of hours or so that they spend on your records each month. The fellow that does my taxes also offers this service but, to date I still do this myself. Having good records not only keeps your business legitimate for taxes and helps to avoid hassles with the IRS and state tax authorities but can also yield good information about your business such as which articles on HubPages or which sites, if you are writing for more than one site, give you the best returns for your time and effort. This information can not only help you with your taxes but also make you more efficient by allowing you to focus your limited time on higher yielding activities but make you richer as well. Paul Davidson - thanks for the comment and I'm glad this Hub was of help for you. You can also find and download tax forms for both the current and past years from the IRS website (irs.gov). For Form 1099-MISC just go to the URL above and click on the "Forms & Pubs" tab, and then click on the "Current Forms & Pubs" button and type Form 1099-MISC in the search bar. Great article. Thanks for the info, you made it easy to understand. BTW, if anyone needs to fill out a form 1099-MISC, I found a blank form here http://goo.gl/PspmBZ. This site PDFfiller also has some tutorials on how to fill it out and a few related blank tax that you might find useful. Oh, and I forgot to say that I really appreciated the tax-reducing perspective you gave, with recommending to deduct internet expense from my HubPages profit so that I owe less taxes. Very helpful for a conservative just wanting to earn a living and not wanting to fund the unnecessary big-pocket government agencies! Thanks again. Thank you, this was very helpful! I looked up several different sources and couldn't find any answers to my questions about 1099-MISC as it related to HubPages & Google—except here. Thanks for putting this down so clearly and plainly! Blair Stover - no, I have a full time job and my online work is part-time but it does produce a nice part-time income. So you make all of your income online writing hub pages? P.S. Also, do hubbers have to apply for Business Tax Registration with their state? Thank you so much. I had no idea. Taxation and compliance with taxation is a major cost for business. Our highly qualified tax accountant keeps up to date with tax compliance as responsibilities is becoming increasingly difficult for business to manage. Wow, that sounds like great advice. Thank you so much for your time in answering my question! Glassvisage - people like us who simply host ads for Google are not Google employees but are rather independent contractors which means that we are self-employed as far as the IRS and Google are concerned. Being self-employed means that we are businesses ourselves and are simply selling our services to Google just like it sells its advertising and other services to other businesses. 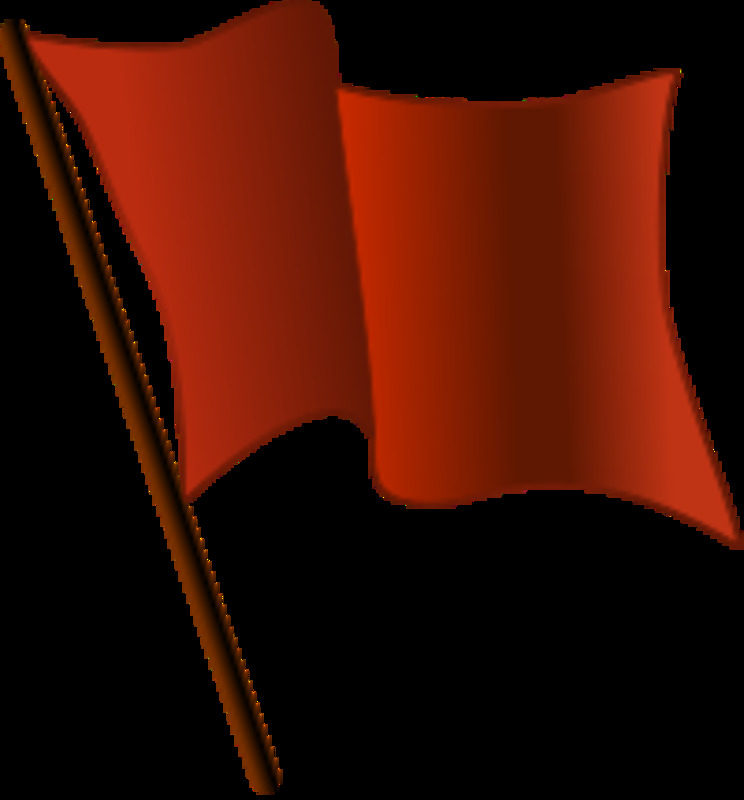 Since we are self employed owners of our own businesses it is OUR responsibility to pay taxes directly to the IRS ourselves. If your writing is your only source of income and you are NOT employed by another company as an employee in another job then you are required to make Quarterly Estimated Tax Payments to the IRS - this is in lieu of the withholding that employers do for employees. You would then do your tax returns at the end of the year and get back any overpayment of taxes or pay any under payment if your estimate was too low. On the other hand, if your Google and other Internet income is in addition to income from a regular job you can usually avoid having to make estimated tax payments on your Google income by simply having your regular employer withhold more from your paycheck from your full time job - this will result in your accumulating enough with the IRS so that taxes for your Google and other Internet income are already in the hands of the IRS at tax time. A second alternative that I suggested was to either deposit your Google checks to a Traditional IRA account (so long as the total doesn't exceed the maximum annual amount allowed) where you will not have to pay Income taxes on it until you draw it out at retirement. Either this or, if your regular employer has a 401(k) program, you can increase your contribution to that (which will be taken directly from your paycheck) program as income put into a 401(k) is not taxed until for Income Tax purposes until you draw it out at retirement. In both cases you might also want to increase your withholding from your regular job a little to cover the Social Security and Medicare (so called Payroll Taxes) which are still due on all income. One other point, if your accountant feels you are being "screwed over" by Google he/she either doesn't understand small business tax processes or, more than likely, does not realize that your relationship with Google is that of an independent contractor and not that of an employee. You might want to print out a copy of the Google Adsense Program terms to show him/her as these explain that your are not an employee of Google. Hi, and thanks for writing this Hub! However, taxes are all just another language to me, so I have a question: Google Adsense has you fill out a W-9 for tax information. However, my accountant says that I'm kind of being screwed over because I'm not having any money taken out of my monthly paychecks from Google. If I fill out that form that you mentioned, will that help take care of that? jkfrancis - thanks for the great comment loaded with useful information. 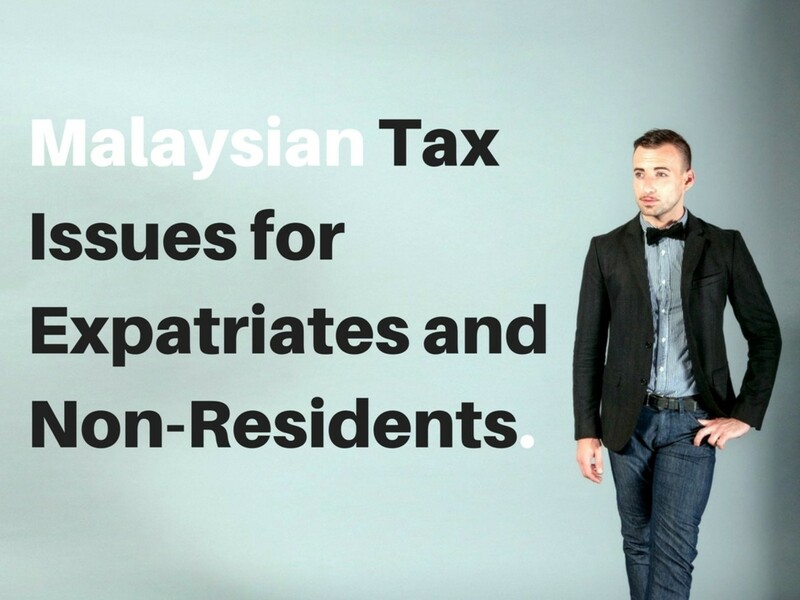 I deliberately, avoided getting too specific on deductions as I did not want to get into giving specific tax advice which might apply to one person and not to another depending upon their circumstances. That is why I urged people to seek the assistance of a professional who not only knows the tax code but can also look at their overall situation and judge which deductions fit and which don't in their case. Thanks again for the great comment and information. This is one of the best and succinct explanations of the markets/ supply/demand and risk reward that I've read. Everyone should read this because it gives us a better understanding not only of how the markets work, but how our country works. Excellent! I know this is a tricky subject - there are many pros and cons - but you sort of passed by deductions if you have a home office. If I'm correct (I always give that caution when I talk about taxes), you can deduct many other expenses for business use of your home. (See From 8829 - Expenses for Business Use of Your Home.) But caveat, as Chuck mentioned above, screw this up and your frusration, time and expene might not be worth it. For example, my wife and I have formed a partnership and we work out of our home, in addition to other income. Our office takes up 14% of the square footage of our townhouse, and we ue that exclusively for our office. As a consequence, we get to deduct 14% of our mortgage interest, real estate taxes,house insurance, utilities, HOA fees and others. As Chuck advises, get a good tax advisor because the IRS are more lkely to audit this type of situation. Thanks this is very useful information, especially with the economic situation being the way it is more people will be looking to work online and earn income from the internet, so it will be necessary for then to understand how to report their earnings, since like you said some are making money for more of a hobby than a real business. So for those who are using the web to actually build a business from multiple income streams such as yourself it is definitely a great opportunity. I like the way you explained about how to keep receipts and record any expenses used for the home based business from the online revenue and to have a good tax preparer. Great info Thumbs up! Newsworthy - thanks for visiting and for your comments. As for the chaise lounge, that is my dream picture for when after I retire and make a living writing and running my direct sales business from wherever I am. My wife took that picture while we were vacationing in Hawaii last summer. It was on the balcony of a timeshare we purchased but only got to stay in the last night we were there. But we plan to return someday. hey thanks for this well informed hub. when the time come that i can make a claim for hubpages, this will be very beneficial, as is the bookeeper. No matter when and at some point, i wanna chaise lounge write too! Paul, I believe that there are some specific numbers as to the number of profitable years you have to have within every five or ten year period but I don't know exactly what they are. Also, a couple of recent articles in the Wall Street Journal discussing Treasury Secretary designate Timothy Geitner's tax problems have noted that the IRS is currently under pressure from Congress to look more closely not only at the returns of high income people with special situations like Mr. Geitner's IMF employment but also at activities that generate income and are claimed as home based businesses but are really hobbies that produce some income as a by-product. Thus, what was ok or allowed last year might not be acceptable this year and what is ok this year might not be acceptable next year. This is why I turned to a professional tax preparer who specializes in small business once my income from writing began rising. Like I said in the article, he is able to keep up to date on the latest changes in the law and regulations as well as on what things are legal but are likely to raise questions and lead to an audit. During the year I keep track of and keep receipts for every expense that I think might be deductible and then give these records to my tax preparer and let him decide what to deduct and what not to deduct. While I do keep receipts for things like entry fees to tourist sites about which write, I am careful to separate my fees from those of my wife and children and never try to claim the total fee for the family. While I also keep track of mileage for local trips to places that I write about either in the area where I live or places where I am visiting, for distant places I only track mileage from where I am staying to the sight and not the entire cost of the trip. Finally, if the home based activity is really more of a hobby that generates some cash rather than a serious business the amount of income generated, even if it is over $600 and generates a 1099-Misc form, it is probably relatively small compared to the income from your full time job. 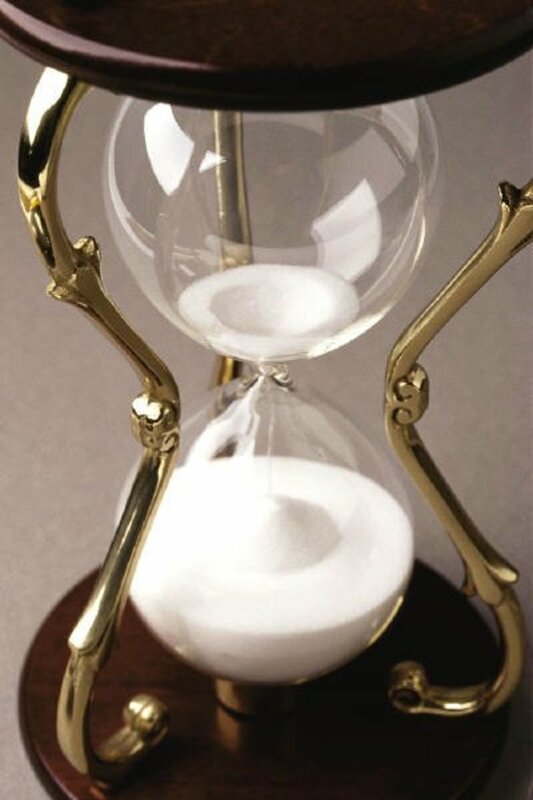 However, you can more than likely shelter this relatively small amount from your income taxes by depositing it to either a traditional IRA (so long as you total income qualifies you to have one and you don't already contribute the maximum to it each year) or, if you already deposit the full amount allowed to a traditional IRA, you can accomplish this by increasing the amount you contribute to your 401(k) plan. Another alternative is to donate all of it to charity and deduct it from your taxes as a charitable contribution. If the amount is small, the 15.3% you have to pay for Social Security and Medicare taxes will not be that much and the additional income tax deduction from the contribution to your retirement account or charity will probably be sufficient to cover the Social Security tax leaving you with a wash and, provided you have set your withholding from your full time income high enough, you can probably continue to look forward to your usual refund. If, on the other hand, the Social Security tax is significant, then the income is probably high enough to enable you to convert the hobby to a business and take advantage of legitimate business tax deductions. Again, so long as you have a good tax preparer and take a conservative approach to what you claim you will probably be ok.
You mentioned in the Hub that at some point you are required to show a profit. How much does that profit need to be? It seems with home based businesses that they can require little capital, but things like internet, phone, printing, research travel (we should have more Hawaii hubs) seem like it would be easy to eat up all the earnings and to show a loss. The loss is easier to handle if you have a fulltime job income and the home based business is a tax efficient way to offset some of the costs you may incure any way. Does your home based business tax position change if you have a full time job with another empoyler? 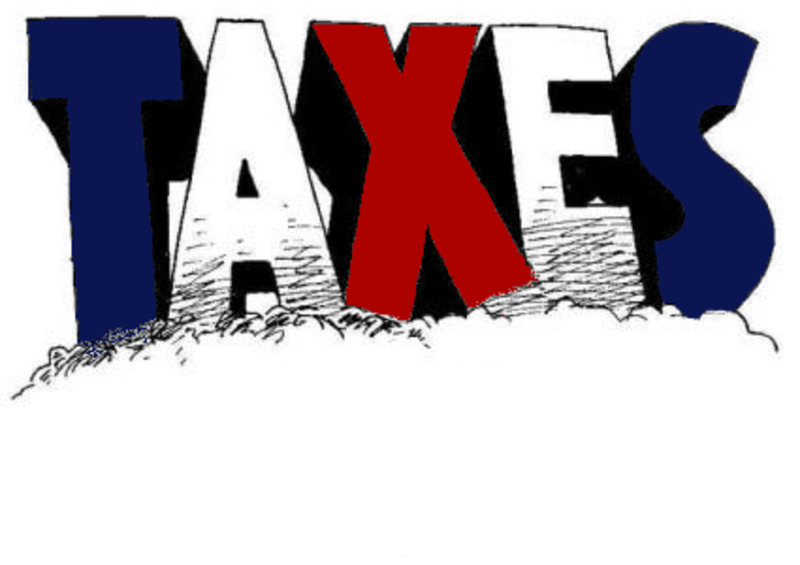 john54 - Despite the hassel, it is a good problem to have made enough money to have to file taxes on it. As to my Internet connection, I save each of my cable TV bills with the broadband internet charge highlighted and will give these to my tax preparer along with a spreadsheet showing the total internet access payments for the year and an explanation as to what each of the computers in the house are used for. Two of the PCs (laptop and desktop) are used mainly by me and over 90% of the work I do on them are for writing for HubPages, teaching my online classes and for maintaining the website and correspondence for a direct marketing business I have. The other two are used by my sons for school, for their occasional writing on HubPages, and fun. It will be up to my tax preparer to determine what I should deduct for this. Good information. Fortunately I'll have to deal with this for 2008. I guess I won't complain. So would you consider your internet access tax deductible if you are earning an online income?